Thinking about buying? If you are serious about owning your very own piece of the American Dream, it makes sense to take inventory of your current finances. 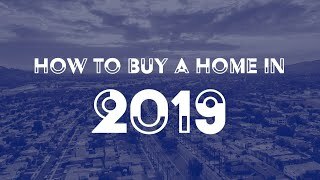 By taking a closer look, you will have a better idea of whether you are ready to grab your dream of homeownership by the horns or whether you want to make some adjustments first. If you haven’t read last week’s post, we recommend you do so. It will help give you a clear idea of what it takes to buy. Think you're ready to buy? Do a quick financial self checkup to see how ready you are. Need a second opinion? Benchmark is here to help. Now, read on. Here are a few considerations before you decide to buy. Many financial experts recommend that you have 3-6 months worth of expenses saved up in an Emergency Fund. An emergency could be a car repair, appliance replacement, or sudden unemployment. Rainy days happen, and a substantial rainy day fund can help protect you from the financial blow. You can think of this as a ratio of current monthly income and payment obligations. Your DTI is communicated as a percentage, where lower is better. A low deb-to-income ratio implies that you have a high cashflow relative to your income, and gives the impression that you are responsible with your finances. It also means that you are at a lower risk for defaulting on a payment, which lenders like. Is your monthly debt obligation higher than you would like it to be? Here are a couple of ways to cut it down without significantly altering your lifestyle. Do you have any credit card debt? Your minimum monthly credit card payment total is factored into your D.T.I. If you have a card with a low enough balance that you could pay it off sooner, you could effectively reduce your debt factor. Doing this repeatedly is commonly known as the “debt snowball,” an emotion guided strategy for paying down debt. Are you working on paying off a car purchase? If you make payments on a car loan that is relatively close to being paid off, paying it off will reduce your debt score by the monthly required payment on the loan. Is your credit history accurate? Do you have a copy of your credit report? It is a good idea to get a copy of your credit report to check for any errors. You can contact the credit bureaus if you find an error, and work with them to correct it on your credit report. While a ding on your credit history may not be enough to deny your loan application, it may end up costing you big in the form of a higher interest rate. You have the right to request 1 free credit report each year. Many credit card companies offer this as a service, as do many identity protection services. You can request your credit report and current credit score from Experian, TransUnion, or Equifax. We know that crunching the numbers isn’t for everyone. Even if you are the best candidate for management of your own finances, not everyone feels motivated to sift through their own numbers. At Benchmark, we advocate for the best financial outcome for our clients. I am willing to help you order your finances so you can make the most informed decision possible. Call me today, or contact me now. We work with our clients to help you make the most informed decision possible. Call or contact us today. We work with our clients to help you make the most informed decision possible. Find your branch, and contact them today. Jason Haeger is the Webmaster and Editor of Benchmark.us and the Benchmark.us network of websites. In addition to design, web development, and writing, he enjoys playing guitar, gardening, reading, and spending time with his wife and kids.